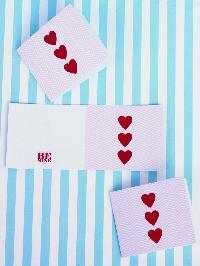 Express your affection by making your own gifts this Valentine's Day. Muster up the courage to let your crush know just how you feel with this bold card that reads, You really bring me out of my shell. 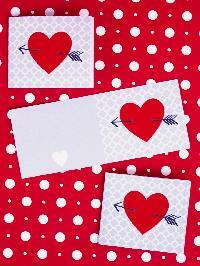 Send off your tasty homemade treats with a trendy Cupid arrow card tucked inside. Host a Valentine Day card making party with a group of your dearest friends, and use a variety of craft supplies to create one of a kind cards for loved ones. Made + Remade blogger Emily Fazio says, while an unofficial poll of six year olds tells me that store bought packs of cards are the way to go in the public school system, I still think our friends and family really appreciate and adore our DIY efforts. We love them, too! Use Scrabble tiles, Bingo boards, postcards and sparkling gems to decorate card stock, creating unique homemade cards they will cherish for years to come. 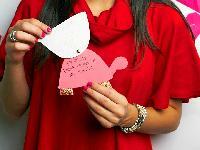 Send a loving and heartwarming message to your sweetheart with a homemade card from their biggest fan. 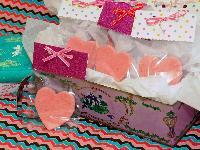 Use a heart shaped cookie cutter to turn homemade play dough into adorable valentines for kids to hand out to friends and classmates. 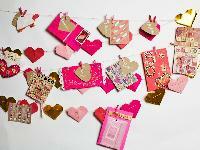 Craft up a handmade gift, then attach one of these stylish be mine cards for a sweet finishing touch. 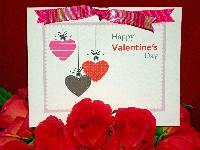 This elegant valentine for that special someone, then embellish with ribbon and rhinestones.